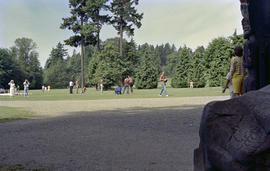 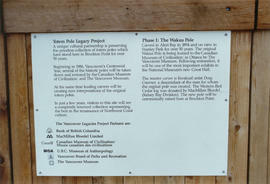 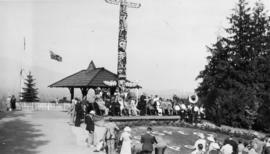 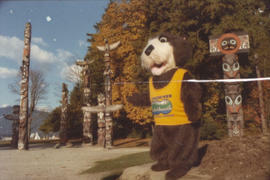 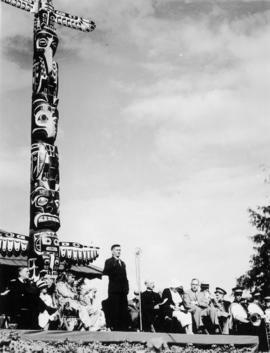 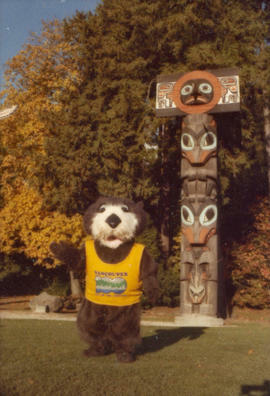 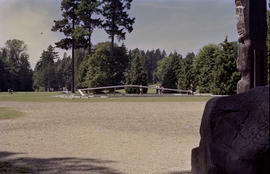 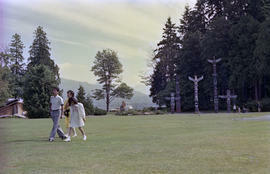 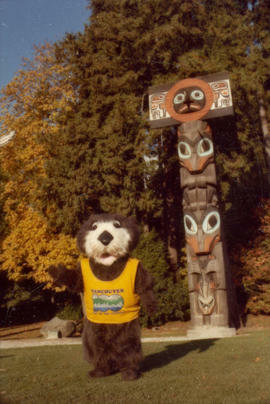 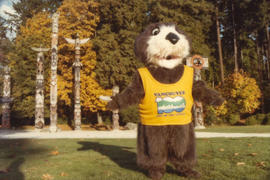 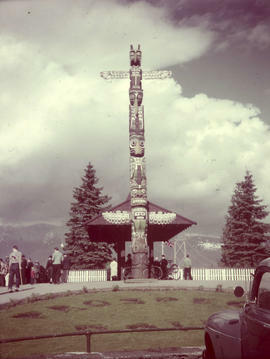 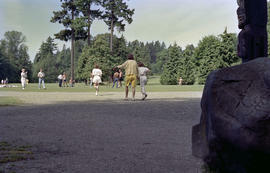 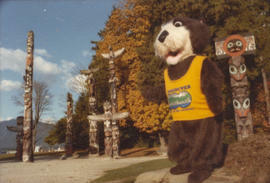 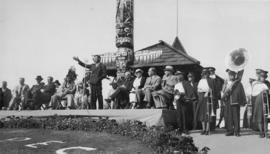 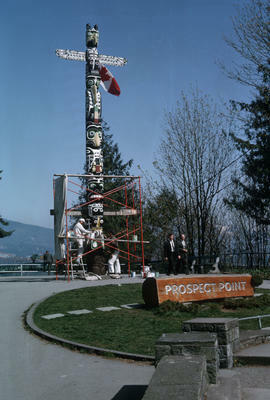 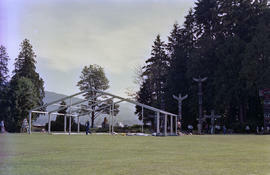 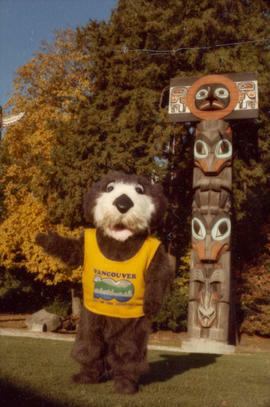 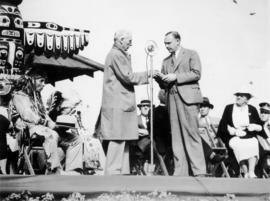 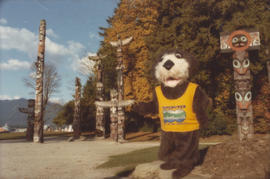 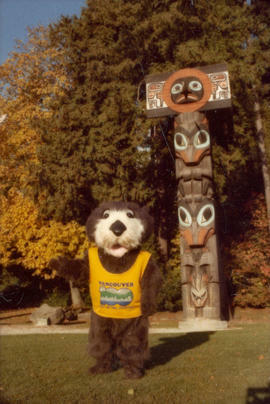 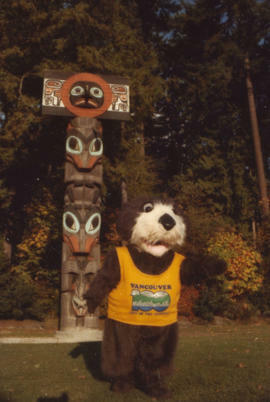 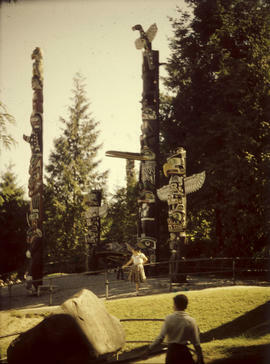 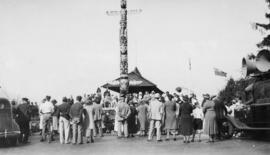 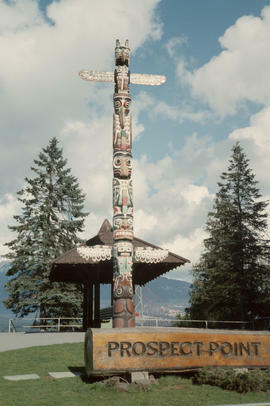 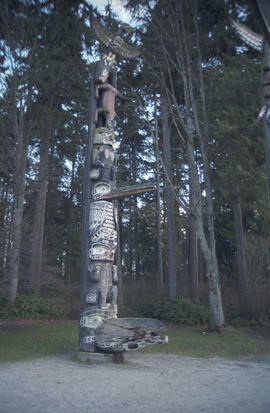 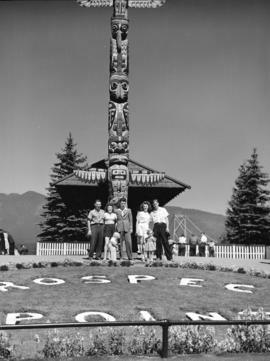 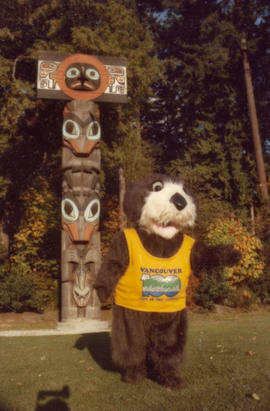 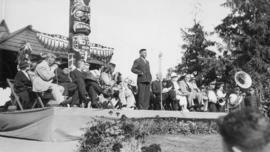 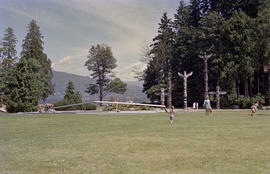 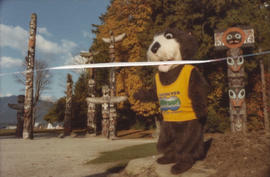 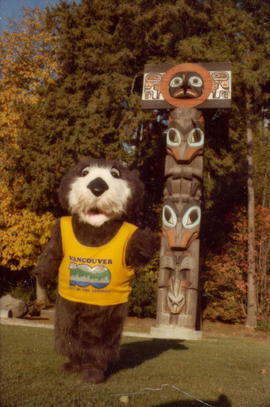 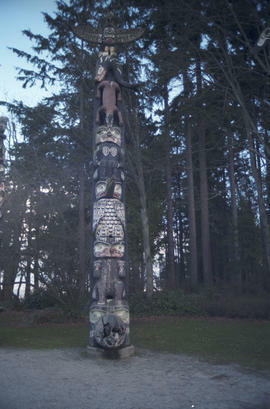 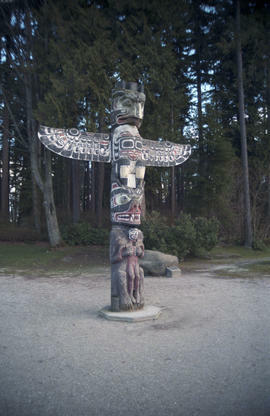 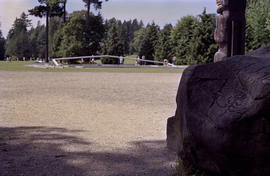 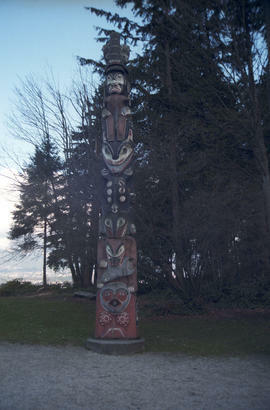 Item is a photograph of the totem pole, buildings, landscaping, and visitors at Prospect Point in Stanley Park. 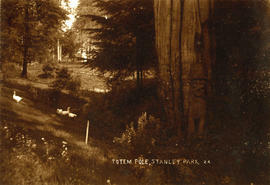 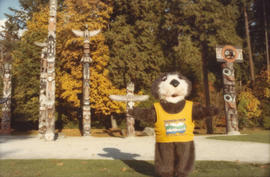 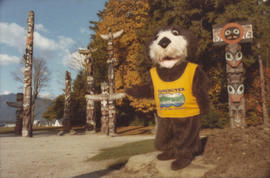 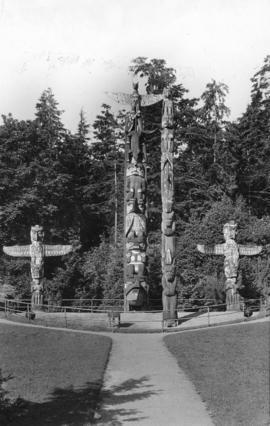 Item is a photograph of four totem poles near Lumberman's Arch in Stanley park. 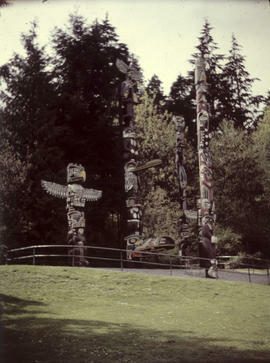 Two identified poles are the Thunderbird House Post pole at the far right, and the Chief Wakas totem pole second from the right. 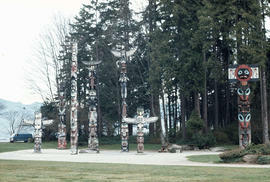 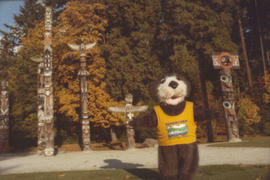 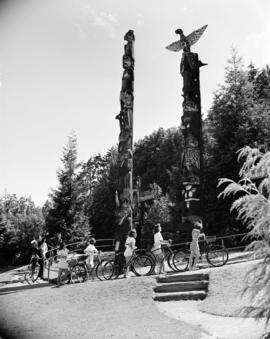 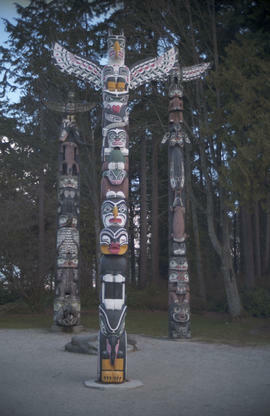 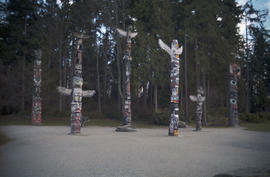 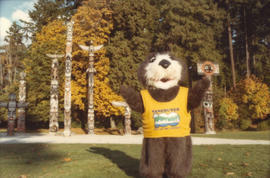 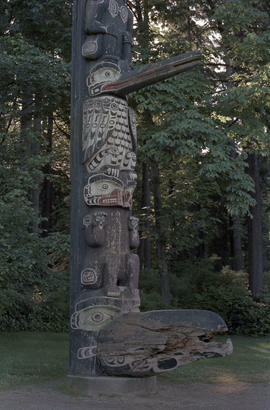 Item is a photograph of five totem poles near Lumberman's Arch in Stanley park. 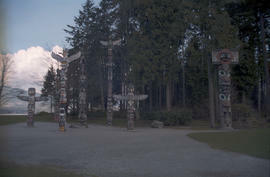 Two identified poles are the Thunderbird House Post pole at the far left, and the Chief Wakas totem pole second from the left.